I have been designing, delivering and assembling mezzanine floors, and later also self-storage structures, for more than 25 years. What I like so much about my work is to translate a customer’s wishes in terms of applicability, design and colour into a technical feasible solution that meets the rigorous standards and regulations for a CE mark. I am very proud of the advice we give and the bespoke work we deliver. It is wonderful to see how a business enterprise is created, changed, developed or is able to grow with a little bit of our help. 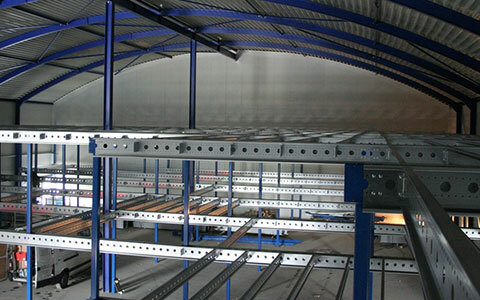 The mezzanine floors manufactured by etloN B.V. is a flexible system that bears the CE mark indicating that these floors meet the exacting EU standards. With a mezzanine floor, also known as an intermediate floor, you can create internally more space for your business activities. In this manner you will have more square meters at your disposal in the same building. We, the team of etloN, give you advice about a bespoke mezzanine floor and we design, engineer, build and deliver it. Self-storage boxes, including lighting, access codes and ceiling finishing. 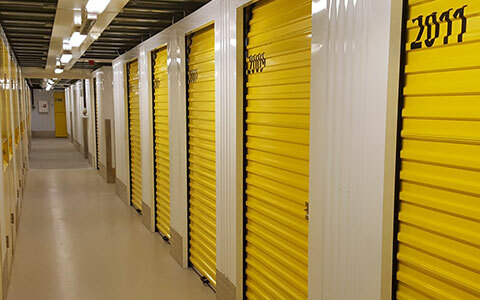 With the installation of self-storage boxes, you make efficient use of the space available in your building. You create temporary storage space that you can use you for your own storage needs or you can rent it out. We, the team of etloN, give you advice about the self-storage structure and we design, engineer and install it. etloN bv designs, engineers and assembles mezzanine floors for customers across Europe. etloN bv also specialises in providing Self-Storage solutions. Our products are produced according to your wishes and carry CE marking.